As I have stated in the past I have been studying for my VCP for a while, I managed to take the ICM course last year and probably spent a good four months afterwards studying to make sure I passed with ease. Disaster struck when work suddenly went crazy and my study opportunities disappeared. 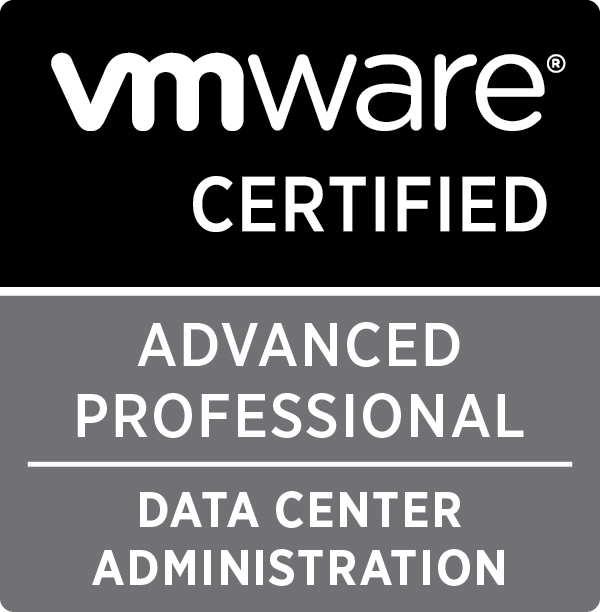 It was only in December that I remembered that I had received a discount voucher from VMware for a 70% discount on the cost of the exam (which for anyone who has sat the exam knows, it’s not cheap at £145). It was actually very close to being a “Sorry You Failed, please try harder next time” message, why you ask? I booked the exam on the 21st of December, I was scheduled to sit it on the 23rd of December, I hadn’t studied for the exam in over two months and I hadn’t been playing with my lab at home because of time constraints (I spend 14+ hours of the day out of the house either at work or travelling to work, I have a wife and son who also want to see me and spend time with me so really, there wasn’t a lot of time to spare) but I knew that if I wanted to get my VCP instead of procrastinating about it I would have to give myself a reason to actually do it and that’s why I booked it when I did for when I did, I stood to lose the cost of the exam (in this case £52.20 which is what I paid for the exam after the 70% discount ). I then spent 2.5 days travelling to and from work (6 hours a day) as well as my lunch hour, studying for the VCP exam. Now luckily for me I have an Apple iPad 2 with the Kindle App installed, I also have a large number of VMware based books purchased from the Amazon store as well as the PDF’s mentioned in my previous post (VMware VCP 4 – Additional Study Material) so I knew I could go over the material I wasn’t sure about. This is where I learnt my lesson, 2.5 days is not enough time to cram for an exam, not after a hiatus of 2 months from study. My advice is definitely take more time to study but also make sure you give yourself a deadline to have the exam booked by.